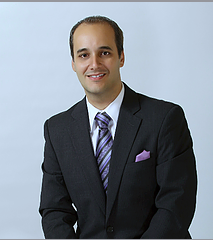 A Venezuelan-American Attorney licensed both, in TEXAS and Venezuela with over 15 years of experience on U.S. Immigration and Nationality Law practice. Substantial experience handling all areas of Employment-Based (EB) immigration, Family-Based (FB) immigration and Non-Immigrant Visa matters. Proven track record of success with a high approval rate of labor certifications cases with the U.S. Department of Labor (hundreds cases approved), and several thousand combined approvals of various types including both, non-immigrant and immigrant visa petitions with USCIS. ​ Mr. Lopez has bold experience handling cases involving IT Consultants and third party placements and Investment Immigration. He also participated in the preparation, review and filing of an EB-5 Regional Center designation application in Texas which resulted in its approval.